There seems to be a common misconception when it comes to studying philosophy, because often times, it is easily associated with terms abstruse or perhaps even nerve-wracking. However, registering for Professor Kim Kee-chang’s (School of Law) Ancient Chinese Law and Philosophy (ACLP) course will actively and critically allow students to appreciate philosophy, abrading the negative misinterpretations. ACLP is a core general studies course under the section of Ethics and Ideas. During the course, Professor Kim covers a wide spectrum of Confucian and Legalist teachings, elaborating on the detailed concepts of rationality, punishment, learning, benevolence, human nature, and kindness. Specifically, he refers to scriptures written by Chinese philosophers Mo Zi, Meng Zi, and Xun Zi. Rather than superficially touching on their ideas, he attempts to share his personal interpretations that together comprise a fresh perspective. One of the greatest dilemmas of KU courses conducted in English is the fact that not every professor is comfortable teaching in English. This has placed both professors and students under immense stress and inconvenience during the lecture. However, Professor Kim’s proficiency in English, along with his outstanding skills as a teacher, guarantees that the lecture will be one of great quality. Therefore, this course is recommended to students who seek to immerse themselves in English- mediated classes approaching the level of lectures taken by native English speakers. ACLP is not just recommended for Korean students but for other foreign students as well. According to Kwon Hyuk-joon (16’, Interdisciplinary Studies), “Considering that foreign students are rarely given a chance to study oriental philosophy, the course is tailor-made for exchange students.” Even for those who are eager to learn about Confucian teachings, it may be hard to understand such unfamiliar material. Yet, with the in-depth, relatable, and professional lectures taught by Professor Kim, exchange students will be able to firmly grasp oriental philosophy. Anybody who sits through Professor Kim’s class will naturally come to realize that he is very passionate about teaching. “Since philosophy is often considered a heavy topic, I try my best to weave in relatable controversial issues in modern society,” Professor Kim stated. After introducing difficult philosophical concepts, he asks students simple questions, and connects the questions and answers to the previously mentioned ideas in order to keep students continuously interested. However, the discussion does not end with a single answer. Instead, the professor proceeds to ask another student’s opinion on the answer presented by the previous student. Eventually, a single question leads on and on, blossoming into a class discussion. Kwon mentioned, “By taking ACLP, not only was I able to study the academic contents, but I also had the opportunity to enhance my critical thinking skills.” Diversity enriches the educational and social experience, because people tend to learn from those with different backgrounds and outlooks. Therefore, by interminably exchanging fresh ideas and perspectives in class, students are able to reap more than they sow. Whereas there are some professors who leave the classroom immediately after the designated period ends, Professor Kim is always welcoming and willing to answer all questions long after class. His passion is infectious, and in turn he serves as a great role model for those who have a passion for teaching and learning. Professor Kim’s lecture is not constrained by the traditional teaching method; instead, he strives to innovate. Over the course of a semester, students are only burdened with two written essays and a final exam, during which they are able to freely consult any book or electronic device. While most of the other courses have exams that require pure memorization, one can navigate through and answer Professor Kim’s exams if they fully understand the class material and can apply their knowledge to real life situations. This deliberately illustrates his personal philosophy of learning, where students must not learn by mere memorization, but by truly understanding the knowledge by heart. Unlike most professors at KU, Professor Kim strides across the lecture room, between the aisles of desks. By physically approaching his students, he open himself up to them. Bereft of a Powerpoint presentation to which students’ attention is drawn, their focus is naturally directed towards the professor. ACLP is also known for establishing an environment conducive to active participation, which is ensured and encouraged by Professor Kim. 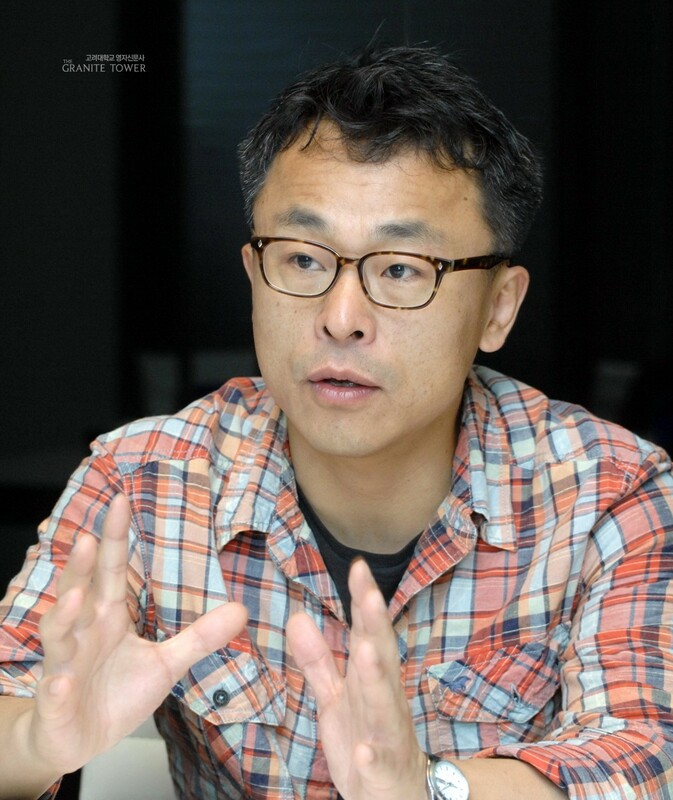 “The professor helps create a natural and comforting environment where discussions can easily take place,” Kwon stated. “Students are able to actively express their opinions without hesitation,” he added. Since participation is not considered an area of assessment, there is no need for students to feel pressured. As mentioned, Professor Kim’s lectures offer the opportunity to break free from common stereotypes about philosophy, especially Confucianism. “When one thinks about Confucianism, he or she could easily dismiss it as a symbol of oppression and conformity. However, these may not be the best interpretations,” Professor Kim elucidated. For example, many adopt the misunderstanding that Confucianism is oppressive due to its strict adherence to the teachings of filial piety and hierarchal relationships. However, Confucius points out, “To merely obey the father’s commands—how can this count as filial piety?” If the superior clearly makes a mistake, pointing it out constitutes filial piety more so than mindless deference. The lecture has a whole slew of takeaways, but above all students undergo an experience that broadens the scope of their thinking. Many students would not expect to reflect back on their life through a college lecture, but in the case of ACLP, students gain this opportunity. After being continuously immersed into Confucian and Legalist teachings of law, human nature, and statecraft, students will find themselves constantly thinking about their own lives and values. The ACLP lecture leaves students with thoughts to nibble on, pondering and taking a stand on their own perceptions of life.